Larry McDonald, senior director at Newedge, says Puerto Rico may threaten the $3.7 trillion municipal bond market. The $3.7 trillion municipal bond market could be headed for a heap of trouble and it could all be triggered by events in Puerto Rico. According to Larry McDonald, Senior Director at Newedge, Puerto Rico's $53 billion of public debt ($160 billion – or $46,000 per person – if you add in other government debts and pension obligations), is making the commonwealth's finances look eerily similar to that of Greece. And, says McDonald, Puerto Rico's accounting is even less transparent than that of his old firm, Lehman Brothers, around the time of the financial crisis. Such accusations have raised the ire of Eduardo Bhatia, Puerto Rico's Senate President. Bhatia and McDonald recently took to Twitter to debate Puerto Rico's budget and debt situation. 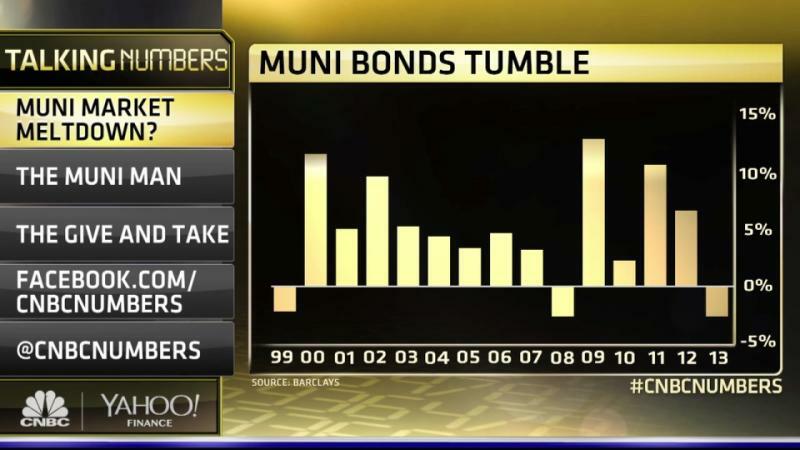 McDonald now talks to Talking Numbers about what he sees next for the commonwealth and what it means for the US muni bond market. McDonald believes Puerto Rico will ultimately be able to sell additional bonds this coming February, though not at the levels they'd like. "The government thinks it can sell $2 billion worth of paper," says McDonald. "I think it's going to be more like $500 million. It's a real watershed moment because if they don't sell this paper, the market is going to lose all confidence. But, I think they're going to get the deal done." They type of bond McDonald sees Puerto Rico issuing in February will likely be a revenue bond rather than a general obligation bond. "I think this new bond that Puerto Rico is going to come up with is going to be a third lien with a claim on the sales tax revenues," says McDonald, "a very interesting claim that's going to keep some people comfortable. But, [its interest rates are] going to be way above the general obligation bonds." Puerto Rico was able to fund itself at relatively low rates in part because the Federal Reserve Bank's quantitative easing policy brought yields lower, according to McDonald. Investors seeing slightly better returns were attracted to Puerto Rico's debt in the same way they flocked to credit default obligations and sub-prime mortgage bonds when rates were low before the financial crisis, he says. Later in 2014, Puerto Rico will likely restructure its entire debt in a workout similar to Greece, says McDonald. "I think it's just completely unsustainable," he says of the current situation. To see more of McDonald's take on Puerto Rico's debt and what it means for the municipal bond markets, watch the video above.